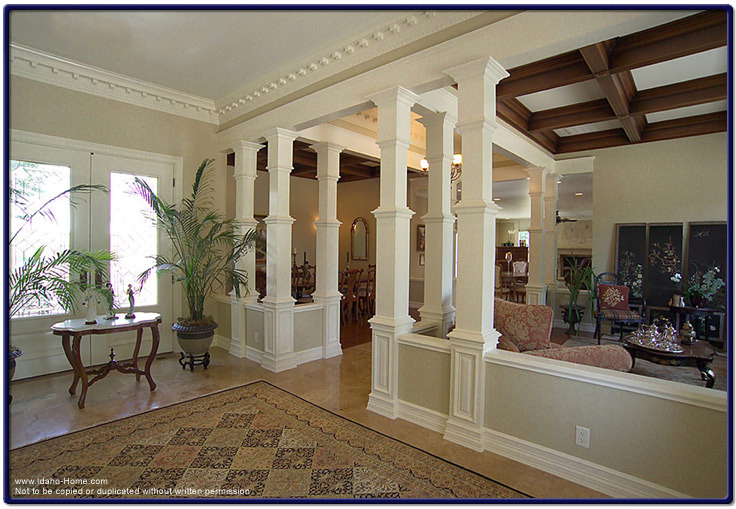 The square shaped wood pillars pictured below, are situated between the entryway and living room. With the high ceilings and dark wood beams in the living room, the pillars add a separation between the two rooms. 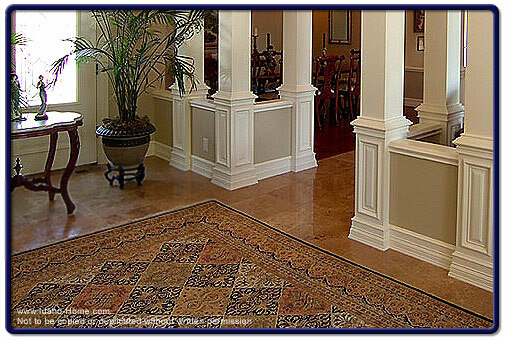 The ivory color pillars stand out with the light finish of the hardwood floors. The detail wood of the pillar adds depth and enhances the rest of the interior of the home.